Dreamflight is a registered UK charity that changes young lives by taking seriously ill and disabled children, without their parents on the holiday of a lifetime to Orlando, Florida. Book your place at this year’s spectacular event for just £75 pp. You can look forward to all the theatrical charm you would expect from a "Roaring 20’s" themed Ball! 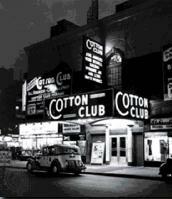 Enter “The Cotton Club Speakeasy” for a cocktail reception at 6pm, followed by a lavish 3 course dinner with bootlegged liquor in the Hanover Suite. Tickets for our annual ball are incredibly sought after, and cannot be reserved without full payment. Please visit www.dreamflightball.co.uk for a booking form and more information.